Price reduced again! 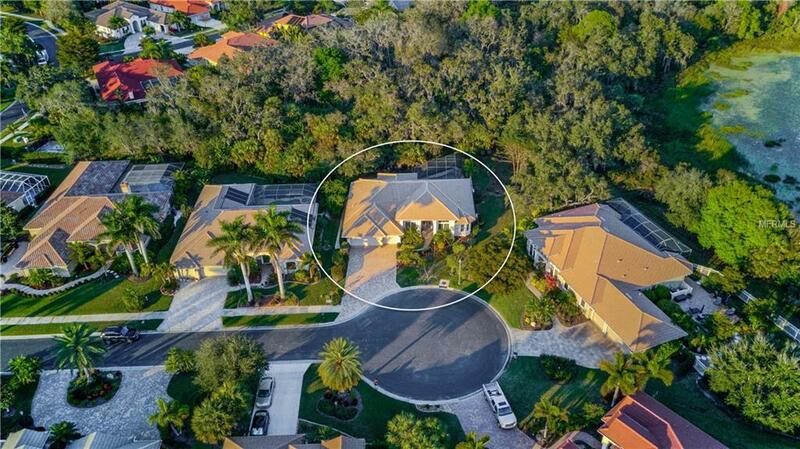 Behind the gates of this serene neighborhood, set on a premium oversized cul-de-sac lot, backing up to a lushly wooded nature preserve, you'll find this impeccably maintained John Cannon-built home. Too many upgrades and luxury features to list here. New within the past 3 years... washer, dryer, carpet, pool cage screens, gas water heater, paver brick drive, deck and walkways, designer front doors, decorator window dressings, gutters and downspouts, exterior trim painted. Pride of ownership shows from the lush landscaping to the beautiful accent lights around the pool deck. The den (with closet) has wood floors, built-in desk and copious shelves. The kitchen is a chef's dream and opens to the sumptuous family room with private serene views of the woods beyond the custom pool and waterfall. Gas water heater for home and pool. 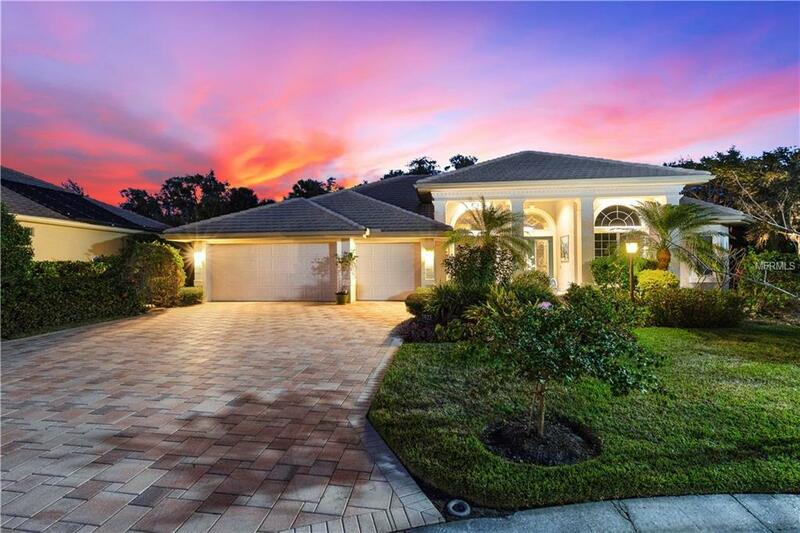 Priced below the average value of homes in this fabulous neighborhood. No CDD fees here. Located away from the hustle and bustle of traffic but 3 minutes from the Publix shopping center and wonderful Rothenbach Park. About 10 minutes to Doctor's Hospital and roughly 25 minutes to Siesta Beach or downtown Sarasota. 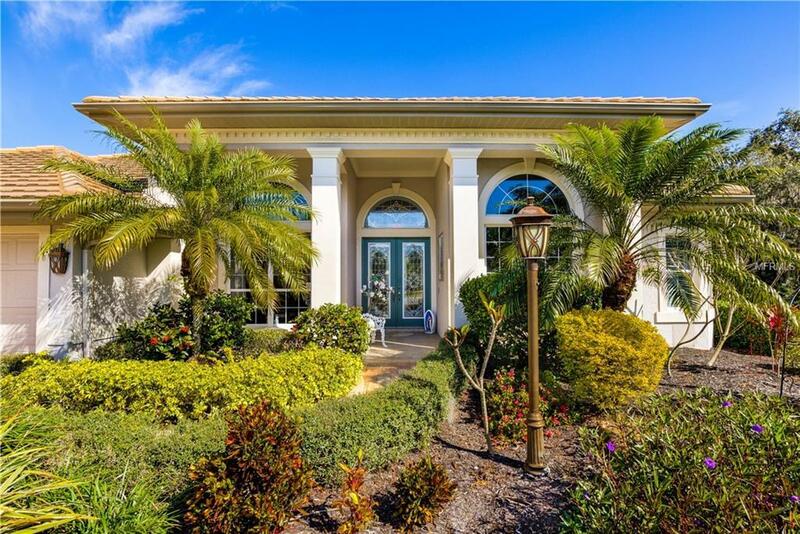 Country club memberships available next door at Laurel Oak community. See MLS attachment for optional furniture available for purchase.